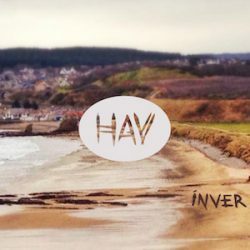 HAV mix traditional folk forms with electronic ambient textures to produce a rich swirl of music that clings to the memory like mist clings to heather. On Ffald-y-Brenin the fiddles gently sway, and it is easy to imagine the music being used to soundtrack a documentary about a stoic crofter or, more likely, a fisherman. The documentary feel is reinforced by the use of field recordings like The Young Man’s 21st Birthday, which give space to the recollections of the older generation.Cullen Bay is another meandering instrumental with the fiddle accompanied on its ramble by the lambent chords of a piano. A rumble of bass notes and a gurgle of water usher in the rushing wind of strings, change the mood and prod the piece forwards, tacking towards the conclusion. The album includes a tremendous reading of Loch Tay Boat Song (which you might know better under the guise of The Ohio River Boat Song by Will Oldham). It casts a duet with Beccy Owen adding her vocals to those of Alex Ross. It unfolds slowly, the melody playing against the prevailing current as the vocals drift downstream carrying their cargo of sadness; the song ends with a coda of electronics, as if being transported from the 19th century into the 21st. The mix of the traditional and contemporary is seamless. Ross’s Lydia’s Wedding and the traditional King O’ The North blur together in a jaunty haze of fiddle. There must be mention of Jonathan Bidgood and Ian Paterson, who both make massive contributions to the record; the delicate bed of bass and guitar that they prepare for Peggy Gordon turns the traditional song into their own. Goodbye (This Time Forever) starts as if it is afloat, bobbing on waves of accordion (Hav is the Danish word for sea). It’s happy to stay in harbour for the first half of the song, before strings and pipes thicken the atmosphere. There’s a beautiful moment that seems to hang in the air when everything comes together while a snare drum clicks away in the background, until the song fades to the sounds of seabirds and waves lapping on a beach, bringing us full circle to where the record started. This is a moving record, full of charm and beautifully crafted.